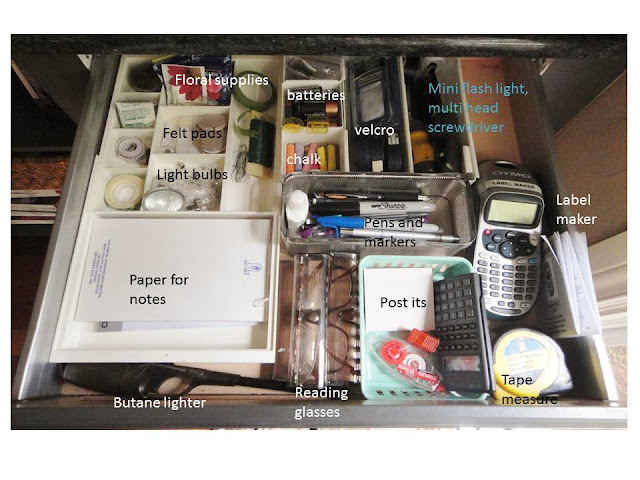 In this drawer there was a bandana with a Canadian flag pattern, an old binder with outdated addresses and phone numbers, a beaded pen that didn't work, 2 butane lighters that also didn't work, a wrench, a broken light bulb for the kitchen undercounter lighting, matches, pliers, old take out menus, a calculator, nails, odd screws and more pens than I can count. And that was only SOME of the stuff in there. How can one draw hold so much????? 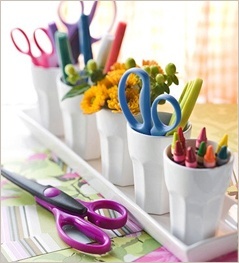 Or check out my 'Organized' board on Pinterest here.